KISSMAS in July is now drawing to a close for 2014 and there were so many things we wanted to cover we figured, why not cover them all? A whole lot to cover to round out KISSMAS in JULY so take it all in and enjoy our talk on the Hottest Band in the Land! While Paul Stanley and Gene Simmons are the 2 constant mainstays in KISS, the lead guitar position has faced the most changes of their 40 year history. 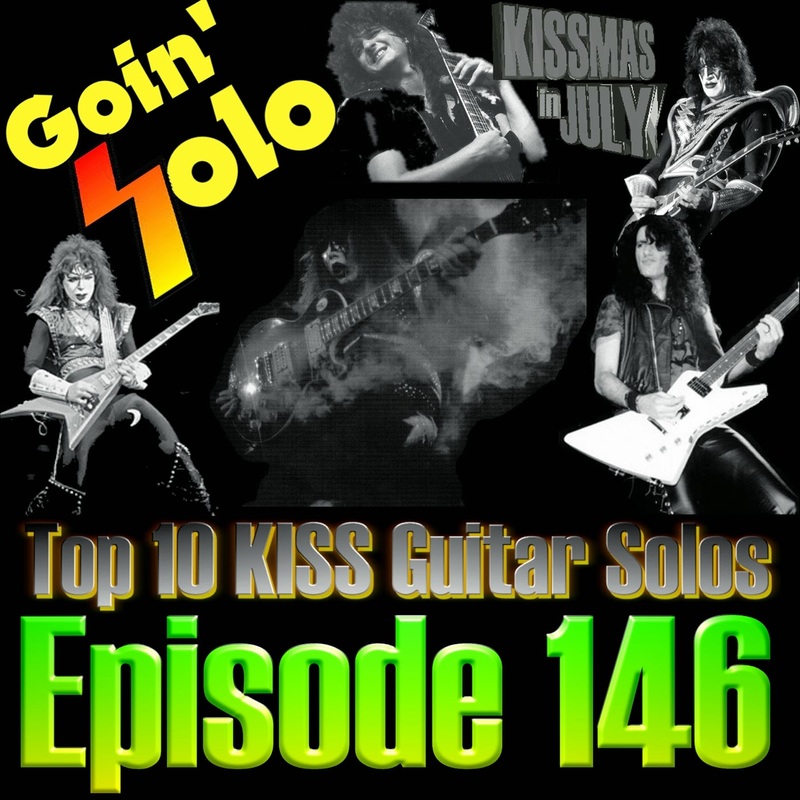 This week Aaron and Chris dissect and spin their Top 10 favorite KISS guitar solos. 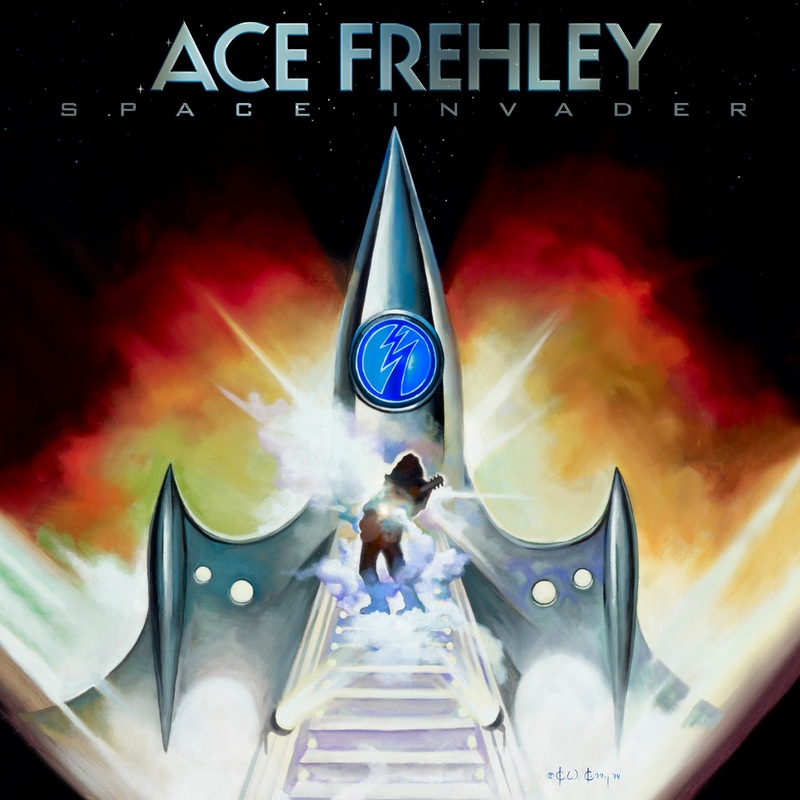 Aaron takes the Ace Frehley route for his list and Chris pulls his 10 favorite from the combined tenure of Vinnie Vincent, Mark St. John, Bruce Kulick, and Tommy Thayer. There's some very interesting and unexpected picks. 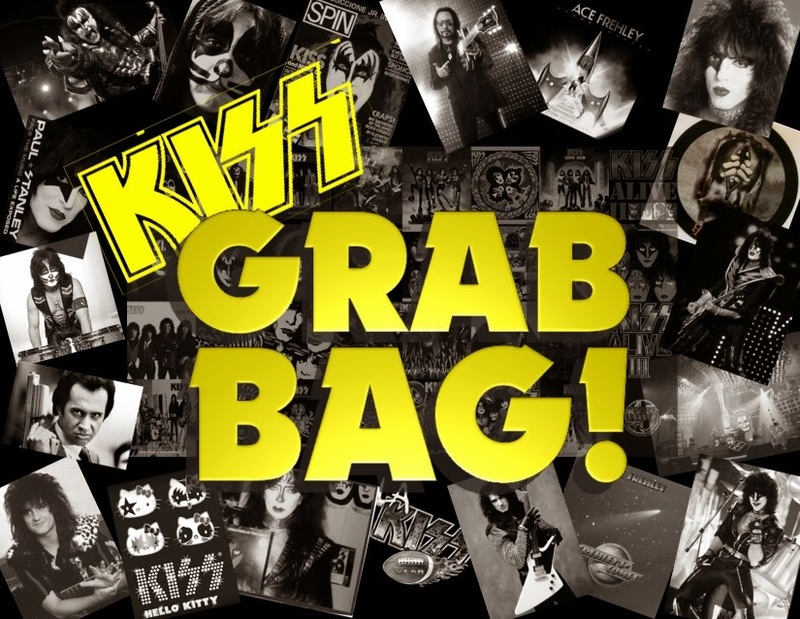 Let us know what YOUR top 10 KISS guitar solos are by commenting below or on the facebook fan page (www.facebook.com/decibelgeek). Some of the most memorable KISS discussions we've had are the ones we've conducted with crew members. This week's guest should prove to continue that tradition. 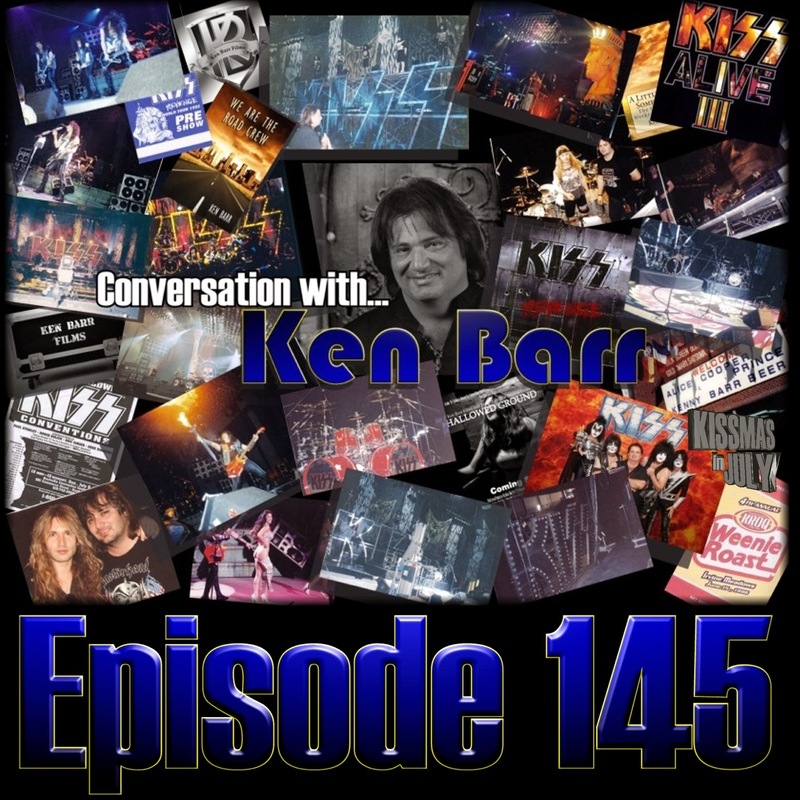 Former KISS crew member Ken Barr joins Chris and Aaron this week for an in-depth discussion of a very transitional phase in the Hottest Band in the Land's career. Ken was a drum tech/guitar tech/carpenter for KISS from 1992 - 1996. His tenure included the Revenge tour, Alive III, the 1995 convention tour, MTV Unplugged, Reunion tour rehearsals, and the 1996 KROQ Weenie Roast. Lots of stories about the personalities behind the members of KISS, stories from the road, and Ken's thoughts on what the band is doing today. Keith Doyle, Kal Hinz, Paul Stamm, Joe Lascon, KISS Army Omaha, David Alpizar, James North, Todd Cunningham, Brad Kalmanson, Shane Hebert, PJ Brown, Wayne Cross, Andy Lafon, Billy Hardaway, I-am Hoops, Joel Hebensperger, Lee Maslin (Audio Junkies Podcast), Jody Havenot (Strange Ways Podcast), Andrew Jacobs, Brent Walter, Derik Novak, James Brendon Dunn, Chris Karam, Matt Syverson, Justin Hayes, Stephen Newton, Ron Strowdomis, Denis Schoen, Antonio Espin Ufano, Jason Thomas Broadrick, JTB’s Groovy Record Room, Dave Shirt. This week we kick of the 2014 edition of KISSMAS in July. During these next four weeks we'll be focusing solely on KISS-releated episodes and talking to KISS-related guests; and today's is a good one! Sher Bach has been in close quarters with the Hottest Band in the Land during different eras of their storied career. Sher was married to a member of NY glitter scene contemporaries The Harlots of 42nd Street. She was also a performer in her own right; working with another New York act; Ruby & the Rednecks. In this long-form discussion, Sher details her memories of the rock scene at the time including her attendance at pivotal shows in KISS' career at venues such as Coventry and the Hotel Diplomat. 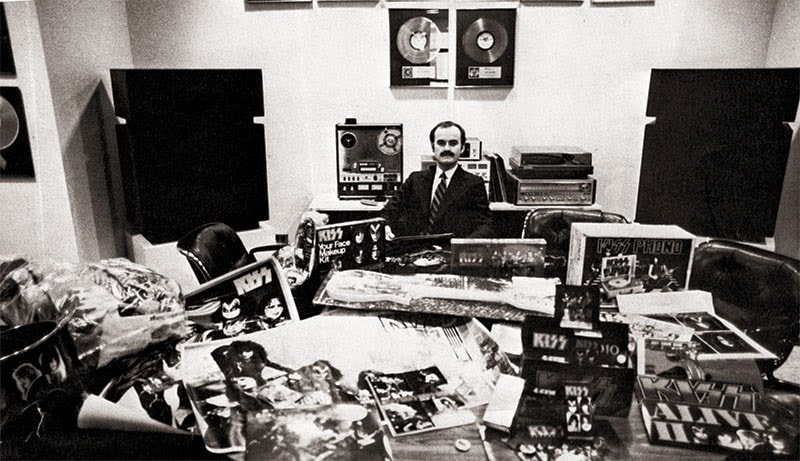 A few years later, KISS was on top of the world and churning out enough anthems, toys, and belt buckles to satisfy the population. Her longtime friendship to KISS manager Bill Aucoin strengthened in 1977 when she went to work for Aucoin Management. In this discussion, Sher gives details of what it was like to work on the business side of the entertainment industry and how it, pardon the pun, mirrored the rock and roll side in many ways. She also shares her thoughts on how the excesses caught up to Aucoin and cracks started to appear on the surface of the Madison Avenue money machine. After a couple of shifts in employment, Sher Bach would wind up working in Puerto Rico in the 1980's. In this discussion, she tells Aaron and Chris about KISS' visit to the country during that time, her impressions of Eric Carr, and an interesting story involving Paul Stanley jamming at a small bar. 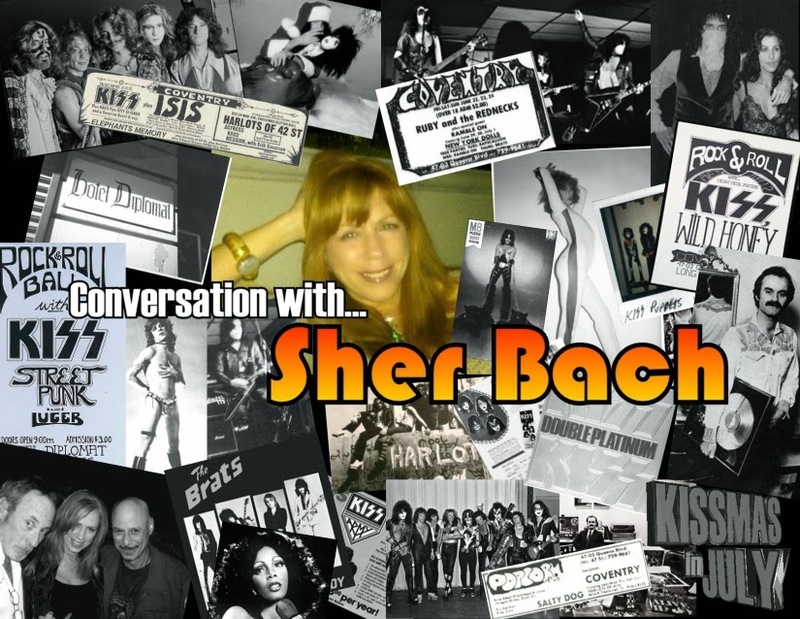 The Decibel Geek podcast would like to thank Sher Bach for so many great stories from her time around KISS and appreciate her candor. Sher Bach currently works with Malla Entertainment Group.